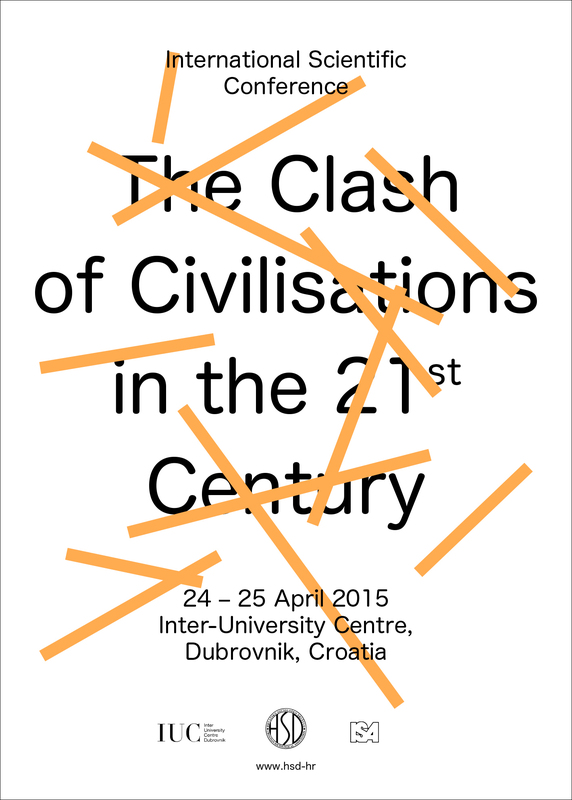 It is our pleasure to welcome you to the International Scientific Conference “The Clash of Civilisations in the 21st Century” that will take place in Dubrovnik April 24 – 25 2015. The Conference is organized by Croatian Sociological Association, under the auspices of the International Sociological Association. Conference programme can be dowloaded here. The conference takes place in the Inter-University Centre (IUC), Dubrovnik, Croatia, 24 – 25 April 2015. The conference description and the detailed information can be found at the following link. Please send the title and abstract (200 words) of your presentation by 15th February 2015 to iuc.conference@hsd.hr. For any further information please contact the conference organiser Margareta Gregurović at: iuc.conference@hsd.hr. 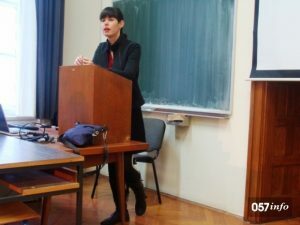 The Conference is organised by the Croatian Sociological Association (Hrvatsko sociološko društvo, HSD), under the auspices of the European Sociological Association (ESA) and the President of the Republic of Croatia, prof. dr. sc. Ivo Josipović. On the occasion of the first anniversary of Croatia’s admittance into the European Union, this Conference seeks to discuss a wide variety of topics related to the present and future of European societies, European citizenship, varying attitudes towards the European integration project, and the nature of emerging European social spaces. The Conference programme is available at the following link. Working language if Conference is English. Attendance is free of charge. The deadline for the abstract submission for the international conference ‘Towards a European Society? Boundaries, Borders, Barriers‘ that will take place in Zagreb, Croatia, 13 – 15 June 2014 is extended to 3rd of March 2014. The conference will take place in Zagreb, Croatia, 13 – 15 June 2014. European society, with its inherent dilemmas, discontents, and horizons of opportunity, urgently demands the attention of the social sciences in general and sociology in particular. As the depth and breadth of cultural, social, economic and political ties across the boundaries of European national spaces increases at a greater velocity, the need for diverse representations of European citizens on the European and global level concomitantly grows. However, European social spaces emerge in multiple and fragmented forms, which necessarily contest the idea of cultural, territorial and political unity inherent in, and enforced by, the concept of “Europe” itself. Transnational spaces in Europe do not overlap simply with national domains; nor do they correspond to administratively determined regions of the EU. The challenges of imagining a European-wide public sphere or European civil society, as well as the idea of European integration through multi-level governance, have only increased as European political and economic boundaries widen and shift. Additionally, the entry of new member states has increased the range of social and economic inequality throughout the European Union by producing new political hierarchies and new barriers to the social integration of Europe. The political landscape of Europe might very well become even more complex if some ‘old’ member states seriously consider opting out even as new countries enter the EU. The first anniversary of Croatia’s admittance in the EU is an appropriate occasion to discuss the present and future of European society, European citizenship, support for and alienation from the European integration project and the nature of emerging European social spaces. Please send the title and abstract (200 words) of your presentation by 17th of February 2014 to info@hsd.hr. 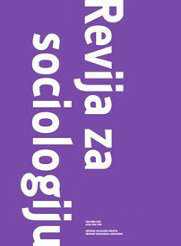 For any further information please contact the Secretariat of the Croatian Sociological Association at: info@hsd.hr. Public lecture “Urban Cultural Policies In Touristic City – Sociological Approach”, Zadar, 29. 4. 2013. On Monday, 29. 4. 2013. 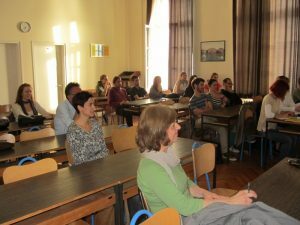 Croatian Sociological Association – Zadar Branch and Department of Sociology, University of Zadar organized a public lecture entitled „Urban Cultural Policies In Touristic City – Sociological Approach “. The lecture was given by mr. sc. Mirko Petrić, senior lecturer from the Department of Sociology, University of Zadar. Open CALL for PROPOSALS for conference ‘Sociology at Sea. Culture, Economy and Society in a Maritime Perspective‘, Zadar, 27 – 29 September 2013. Deadline for submission of abstracts is 17. 5. 2013. Under the auspices of: European Sociological Association (Research Stream “Maritime Sociology), Croatian Sociological Association, Italian Sociological Association (Section “Environment and Territory), Mediterranean Association of Sociology of Tourism, Central European Initiative (CEI), Adriatic-Ionian Initiative (AII). Detailed Call for proposals is available for download here. Conference website is available at this address. On Friday, January 11, 2013 Croatian Sociological Association – Zadar Branch and Department of Sociology, University of Zadar have organized a public lecture given by Petra Rodik, PhD, from the Department of Sociology, Faculty of Humanities and Social Siences, Zagreb „Households in Debt Crisis: Case of Loans Issued in Swiss Francs in Croatia“. The lecture is based on a research conducted in early 2012 on people who have loans in Swiss Francs in Croatia. Enrolment has opened for the International Joint Degree Masters programme in Cultural Sociology which is being organised by the universities of Graz, Zadar, Trento and Brno. Enrolment for the academic year 2012/2013 will be open until July 15, 2012.